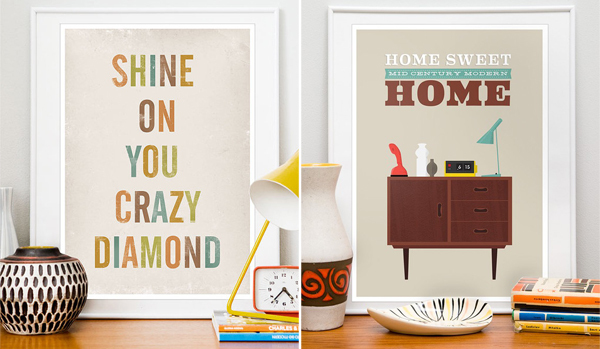 Jan Skácelík is the graphic artist behind these clever prints, many of them inspired by Scandinavian and mid-century modern designs. 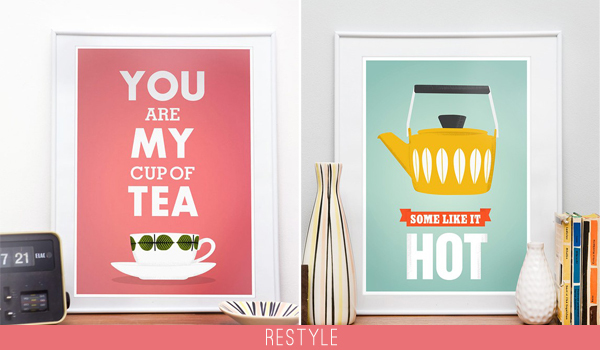 The You Are My Cup of Tea print is my favorite. You can check out the rest of her work at ReStyle, her Etsy shop.